Travel throughout Napa and Sonoma Valley in style whether it be by chauffeured car, bike or balloon! Here are a few of our travel friends who can help make your trip to wine country unforgettable. 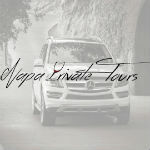 The team at Napa Private Tours is comprised of wine industry professionals with ample knowledge of wine and deeply rooted connections with the most desirable wineries in the Sonoma and Napa valleys. We are rated five stars in both TripAdvisor and Yelp, and we are also ranked in the top 10% activities in Napa. As a recipient of the 2014 TripAdvisor Certificate of Excellence we continue to be committed to first class hospitality delivering incomparable Napa wine tour experiences. Regardless of your level of wine expertise and comfort, our wine tour operators are confident they can add value to your wine adventure by helping you experience Napa and Sonoma in a way that best caters to your wine preferences. There are few more invigorating things than exploring a new road alongside a beautiful panorama. California has many of these roads just waiting to be explored and we will provide a comfortable passenger vehicle to any of these destinations. 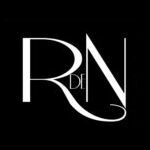 From initial inquiry to final destination, Rutas de Napa will guarantee that the highest level of client service is delivered. We handle each reservation with the professional care you demand. Our state-of-the-art vehicles are always clean and in the safest condition, and our service is professional, reliable and cost effective. We can accommodate up to seven wine enthusiasts at a time. So let us take you through the lesser known treasures of California. 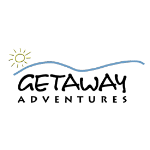 You will come to appreciate the quaint wineries of California in the comforts of a luxury vehicle. 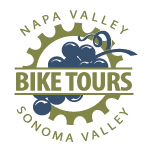 Discover why our shop locations in Sonoma and Napa are an ideal place to start your wine country bike ride - with direct access to local bike paths that connect you to Sonoma and Napa's quiet country roads where you'll discover the best local wineries. And with three levels of support to choose from, there's an experience suited for every visitor and every budget. Join one of our Guided Bike Tours hosted by a knowledgeable Tour Guide, or go Self-Guided or Rent Bikes with the aide of of our route maps and local advice. Whatever option you choose, our goal is simple: We want the the time you spend bicycling with us to be your favorite memory from wine country! Getaway Adevntures is one of wine country’s original bike touring company est. 1991 - Tour the country lanes to smaller family owned wineries. Guided by our local experts with a wine education experience. We provide everything: local expert leaders, gourmet picnic lunch, van support. Visit the Wine Country’s hidden gems on our mostly flat and easy routes with small and like minded groups. We plan it all out for you so you don’t have to. Getaway Adventures is here to share in the wonder that is northern California’s Wine Country. We aim to guide our guests, show them our favorite spots, share local secrets, and make new discoveries. We want them to have fun, relax, learn about wine, take in the beautiful sights, and explore and discover the best of the best in Wine Country. Our hope is that our guests arrive as clients and leave as friends. Join Napa Valley Balloons for an exhilarating sunrise balloon flight over the beautiful Napa Valley. Enjoy a scenic and memorable flight with one of our experienced pilots and join us in celebration at our post flight champagne breakfast. 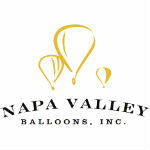 Napa's Premier Hot Air Balloon Company with over thirty-four years of safety and excellence - Featured on Oprah! and the Today Show - The Balloon Company Trusted to fly Chelsea Clinton - Comfortable State of the art Aircraft - No hidden fees. Upon arrival at our launch site you are greeted by a bustle of activity. The hum of the inflator fans, the lively colors of our state-of-the-art balloons and the roar of the burners. Our well trained and skilled staff ensures a safe and comfortable launch.